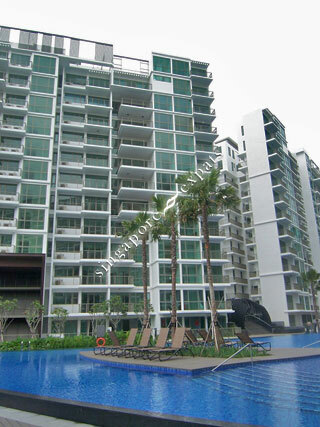 RIPPLE BAY is located at 2 - 16 PASIR RIS LINK in district 18 (Pasir Ris, Simei, Tampines) of Singapore. RIPPLE BAY is a 99-year Leasehold Condo development consisting of 679 units. RIPPLE BAY is completed / TOP in 2015 (estimated), developed by MCL LAND (PASIR RIS) PTE LTD.
Educational institutions like OVERSEAS FAMILY SCHOOL (OFS), UNITED WORLD COLLEGE OF SOUTH EAST ASIA (EAST), ONE WORLD INTERNATIONAL SCHOOL, PASIR RIS PRIMARY SCHOOL, CASUARINA PRIMARY SCHOOL and LOYANG PRIMARY SCHOOL are near to RIPPLE BAY. RIPPLE BAY is accessible via nearby PASIR RIS, TAMPINES EAST and TAMPINES MRT Stations. mins to beach, brand new modern condo.